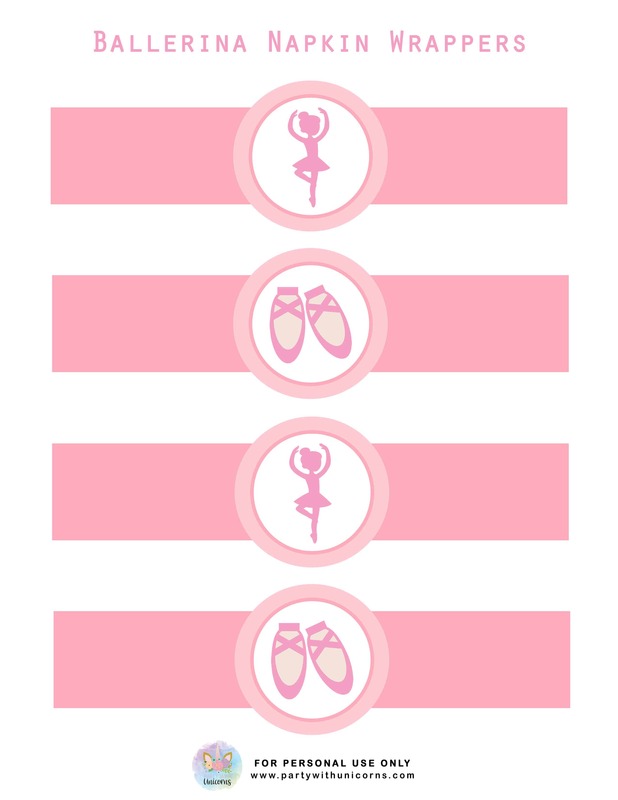 Today we have a very pink set of free ballet printables. 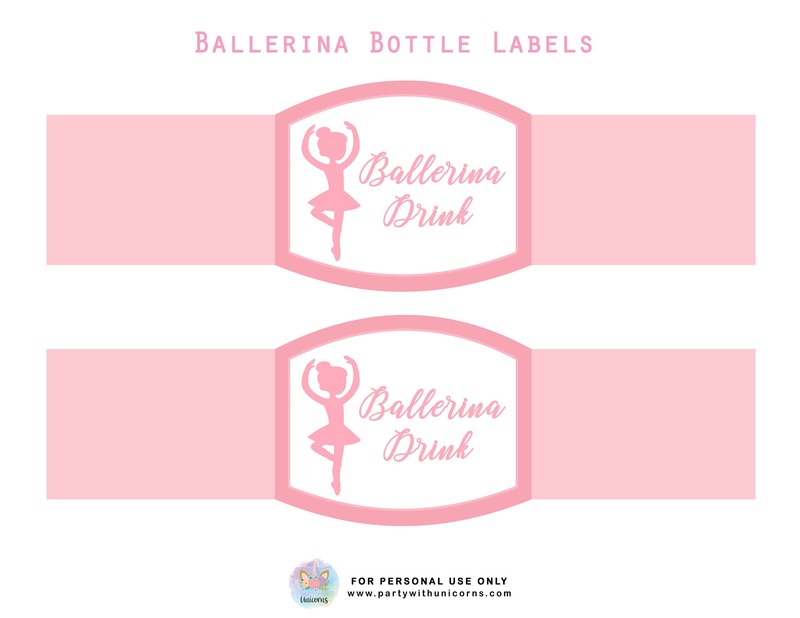 These are perfect for a ballerina themed party or just to bring some ballerina fun into the everyday. 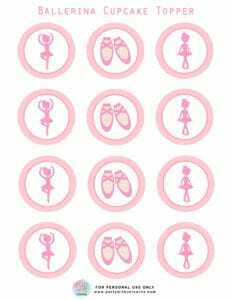 The printables all use a simple pink design with a ballerina silhouette and ballet slipper. 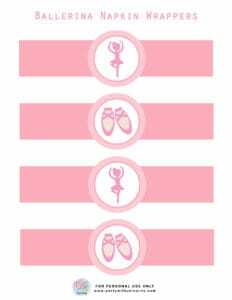 Perfect for any girl that likes to dance and likes the color pink! I’ve just gotten home from my preschooler’s ballet class. Although I am not the biggest fan of the art, I have to admit that the kids are pretty freaking cute in their leotards and tights. My daughter and I have been watching some ballet videos and its given the opportunity to talk about how hard ballerina’s work and that if she wants to learn the do the amazing things that happen in the video, that she will have to attend class and practice, practice, practice. While I continue to try to make some great life lesson out of our time in ballet, I think it might just be about getting all dressed up in pink and running around the room to Disney music and having fun. Which is okay too! 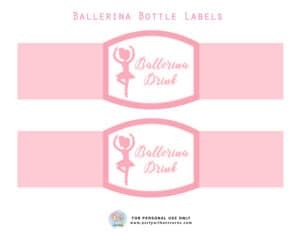 Given that my daughter is all about ballet at the moment, I am doing a collection of Ballerina themed post. This is the second in the set. 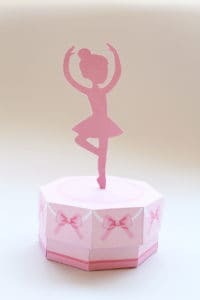 if you have a prima ballerina at home or a fan of Angelina Ballerina, you should check out our recent paper ballerina box craft. 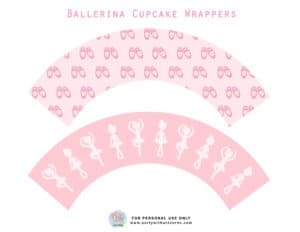 This is a super cute box comes with templates that you can download and print. 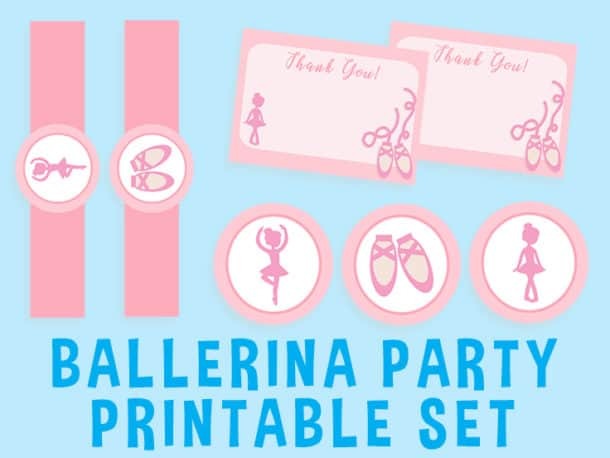 The box also matches today’s ballet party printables so they would make perfect favor boxes or table decoration for your ballet party. 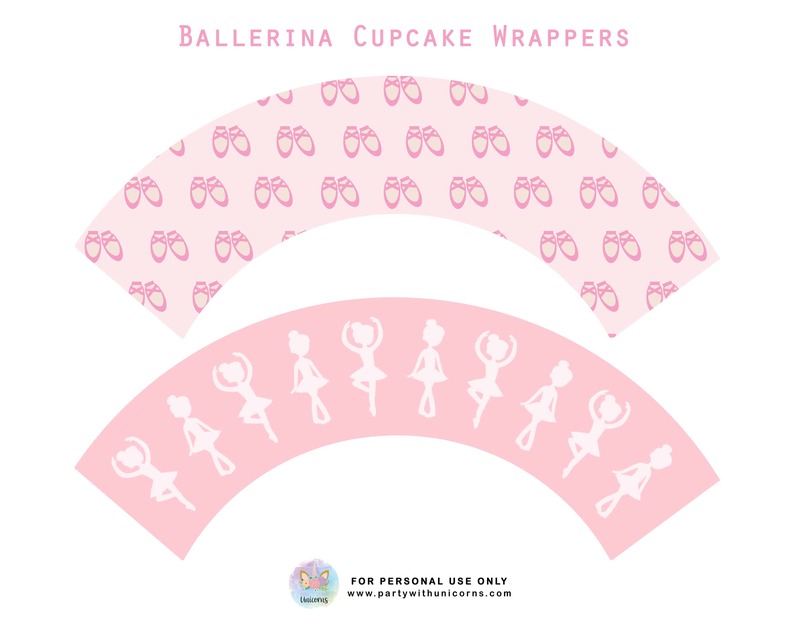 I’m currently putting together a post of all my favorite ballerina party ideas. 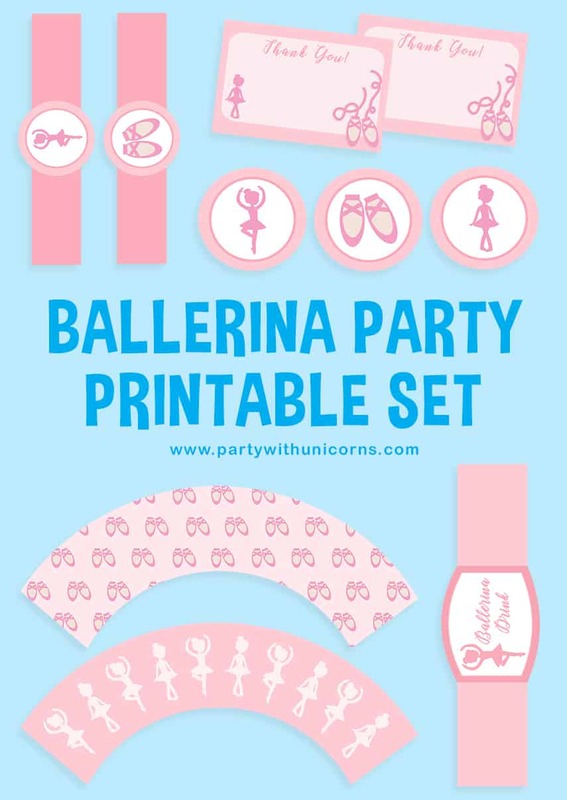 Check back soon for that post to find everything you need for your ballerina party in one place. I will also be posting some matching clip art over the next few days. You can sign up for our mailing list to be updated when that is available. Okay, back to today’s freebies. To download the freebies, simply enter your email details in the newsletter box below. 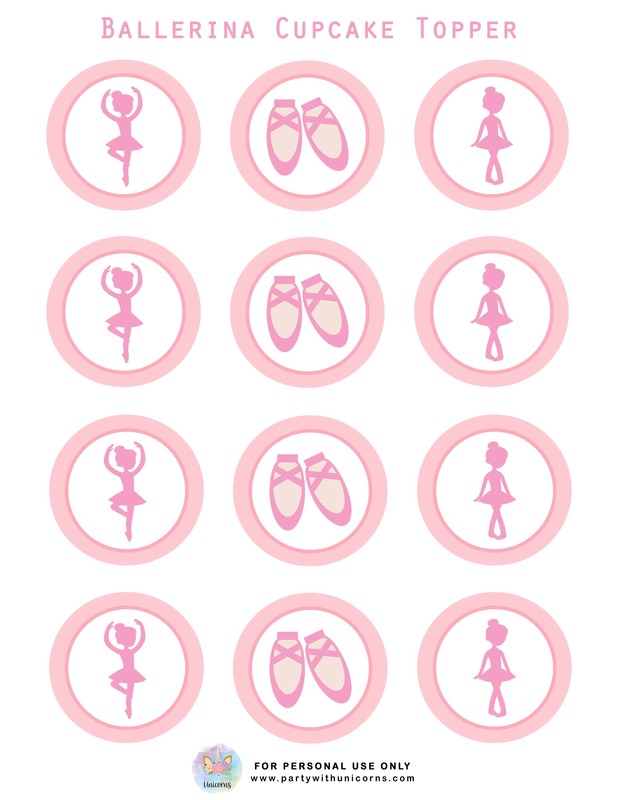 One done, the printables will be available for download. Be sure to tag me on Instagram, Pinterest or Facebook with pictures of the party. 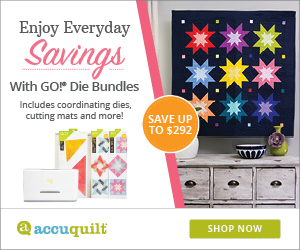 I always love to see what you do with these printables. 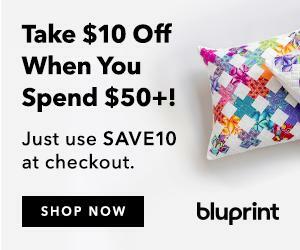 To download the printables simply click on the image you would like to save. When the full-size image open, right click and “save as” to save it to your computer.